At Ivy Creek, couples find a meaningful place to create life-long memories. We offer flexibility and support as you plan your event. Book our space for several days or just one night. Hire any caterer you like or have a pot luck. 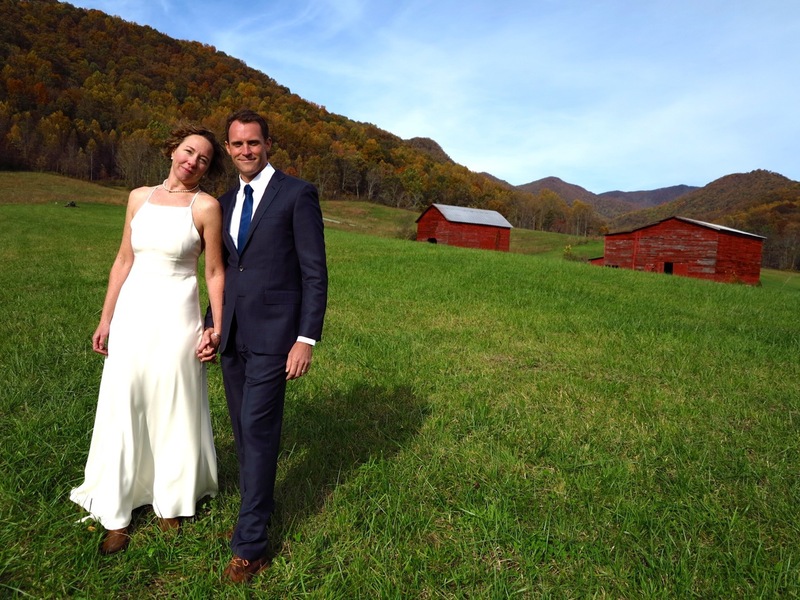 At Ivy Creek, you can make an authentic wedding happen with ease and comfort. We're here to support your vision! Holding an outting for your staff? Looking for a place to hold a training? Come on out to Ivy Creek! We offer a comfortable and engaging enviroment all of your clients and employees will enjoy. 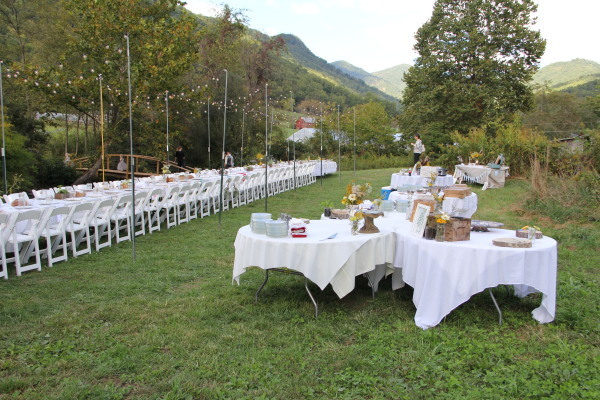 Hold your wedding, meeting, party, or retreat at the farm. We offer a newly built open air pavilion with two bedrooms, a shower room, two bathrooms, and a kitchen for events. We offer our produce and flowers for farm events, and we can recommend wonderful local caterers, event planners, and musicians. Peak weekends book quickly. Contact us today! ivycreekevents@gmail.com or 828-713-8383. We offer special pricing for local couples. Are you celebrating a special birthday? Graduating? Or simply wanting to gather with a group of friends in a new place? Contact Ivy Creek today to book our pavilion for your celebration. Ivy Creek partners with area chefs, yoga instructors, artists, farmers, herbalists and others to offer classes and workshops. Check out our calendar for details, or proposal your own workshop or retreat!